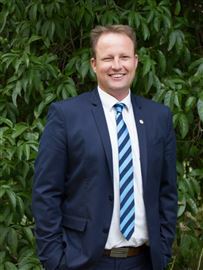 Aaron started his real estate career 1992 as the first ever real estate cadet in Australia and was awarded in 1993 and 1994 as Ray White Cadet of the Year. Aaron went to NZ as an Office Manager / Auctioneer with the company Harvey’s in Auckland where he ran two offices in 1997 and 1998. Both of those offices were in the top 3 for Harvey’s Group NZ, number 1 and number 3, and they were number 1 and number 2 auction offices for company. When Aaron returned to Australia in 1999, he took on the role as Chief Auctioneer for the Harcourts Queensland Group and continued this role until 2004. In 2000, Aaron was awarded the Real Estate Institute of Queensland’s Auctioneer of the Year. Aaron then went on to be the CEO of the group from 2004 until 2014 where he took the organisation from 47 offices to 110 offices. Aaron sold his shares in the company and established his own coaching businesses. 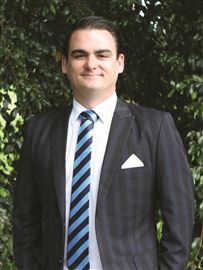 Aaron has now turned his full-time attention to the Harcourts office in Coorparoo as Director and co-owner. Aaron Brooks has conducted over 7,000 property auctions and worked with many of Australia’s leading sales consultants over the last 20 years of him being in the industry. Sam Devlin has been living Real Estate for over 10 years. Having experience in every facet of the business from property management, moving into sales and then as one of the leading Auctioneers in Australia the progression to Business Owner and Principal was a natural and seamless transition. Sam has enjoyed being a mentor and trainer to hundreds of agents in Queensland so building and leading the team at Harcourts Property Centre was always going to be a successful move. Sam’s invaluable experience ensures that his clients can be confident that they are in safe hands and his strategies are tailor made to obtain results that speak for themselves. A natural negotiator with a tenacity that has achieved sales in excess of $1.19m over expectation, Sam will not give up on a deal until his clients are satisfied. With Sam you are not just in safe hands, a successful result is inevitable and you will be informed, confident and consulted every step of the way. 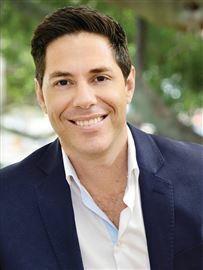 Adam Duffus is an exceptional real estate salesperson. 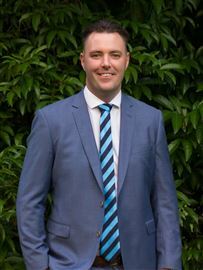 From the moment Adam entered real estate in 2013, he quickly rose to become one of Queensland's most successful agents. Selling properties in various suburbs, prices, city and outlying rural areas, Adam has achieved record sale prices as a result of his determination to get the best result for his clients and the use of innovative marketing strategies. 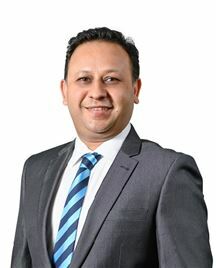 Whilst Adam has quickly become renowned for selling luxury properties in excess of $2,0000,000, Adam uses the same techniques and experience applied to the sale of these homes as he does selling across all price ranges. Adam believes in presenting your home in its best possible light and marketing your property to ensure that you not only attract the best possible buyer, but obtain the best possible result. 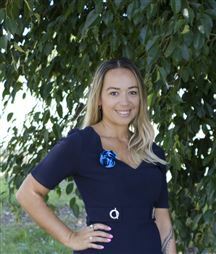 Allysha is a dedicated sale agent at Harcourts Property Centre. With over 5 years working experience in the real estate industry, Allysha offers a superior level of service to all her clients full of enthusiasm and professionalism. Beginning her career as a receptionist Allysha has climbed the ranks to become an award-winning sales agent within the Harcourts Group. Being a local means Allysha has not only an intricate knowledge of the area and its changing market dynamics, but also an extensive and loyal client database. Her clients appreciate her sense of humour and light-hearted outlook, while nonetheless being able to provide a professional, empathetic and trustworthy service. Allysha’s expertise is backed up by Harcourts cutting edge systems, technology and international marketing exposure. 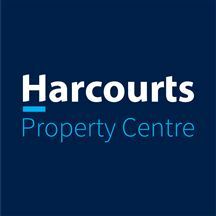 Harcourts is New Zealand’s largest and Australia’s fastest growing real estate group. Founded in New Zealand in 1888, the operation expanded into Australia in 1997, currently there are over 600 offices in Australia, New Zealand, South Africa, Singapore, Zambia, Indonesia and Fiji. 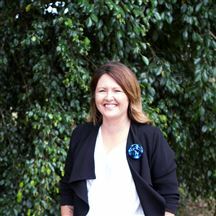 A multi-award-winning Sales Agent at Harcourts Property Centre, Anna has brought to the table many years of sales experience and dealing with people. Anna’s passion is helping others and has found success in business both in the hairdressing industry and recently in 2015, Anna received the prestigious award of Regional Vice Presidency with Arbonne International. As your agent, she will be an advocate for you. Whether you are buying or selling Anna will work tirelessly to promote your best interest, understanding that this can be stressful, she will support you through one of your biggest life transitions or investments. Family life is important to Anna and loves to travel with her daughter and in her spare time giving back to the community. 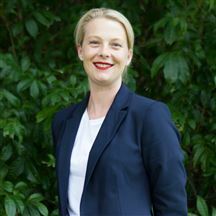 Ann-Marie Best has been in the real estate industry since 1997 and is an award winning licensed Real Estate Agent with an extensive knowledge of properties for sale in the South East area of Brisbane. 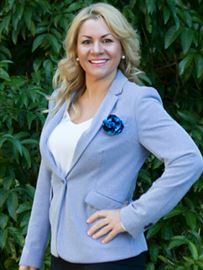 She specialises in acreage and residential property and has a strong background in sales and marketing management, as well as tertiary qualifications. Ann-Marie successfully applies her skills and knowledge to achieve excellent results for her clients. During her time in real estate sales, Ann-Marie has developed a strong network within the industry and believes that these contacts strongly assist in providing excellent service to buyers and sellers. Ann-Marie’s motto “professionalism, honesty, communication”, along with a great understanding of the local property market forms the basis of her success in the business. 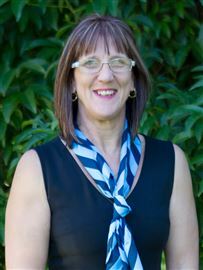 Having resided in the acreage and bayside areas for the past 24 years, she is able to offer local home owners a uniquely powerful marketing platform due to her firsthand knowledge of the desirable amenities, such as quality schools, transport, social hubs and similar styles of properties for sale throughout the area. She loves the challenge of working in an ever-changing environment and is excited to work alongside a dedicated team of professionals at Belle Property Carina. Ann-Marie is also proud to be part of the wider Belle Property network as it has a great reputation in the marketplace for customer service, outstanding results and premium brand quality that gives her an added advantage over the competition. Committed to the Real Estate Industry, and highly qualified, Brad’s knowledge is based on over 12 years of experience in his local area. Brad is well known for his work ethic and dedication, and his easy going manner makes buying and selling a home relaxed and fun filled. Cherie and her family have resided in the Cleveland area since 1999 and they love the Redlands lifestyle. Her children attend local schools and she is involved with her children's local sport. Cherie believes in a balanced lifestyle and commitment to her family. Cherie started in real estate in 2002 in administration and graduated into sales. 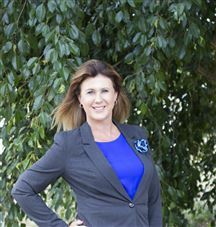 She is very passionate about real estate and the Redlands area. Cherie is highly organized and a great communicator. She is committed to providing excellent results for her clients. Redlands has a strong community feel and is one of the fastest growing areas. Cherie has 1st hand knowledge why people are attracted to move to the Redland area. Servicing Cleveland, Thornlands & Ormiston areas. Chris began his real estate career at the age of nineteen and in the first six months after obtaining his license, Chris sold an impressive twenty properties, satisfying many happy clients and customers. This was done with hard work, persistence and a strong desire to succeed. Bringing a fresh and vibrant approach to the real estate market, Chris will greet you with his friendly and personal demeanour. Chris’ commitment to his clients has him working tirelessly to ensure a stress free transaction while meeting all their expectations promptly and professionally. Chris understands that a strong relationship built on trust and communication is essential when purchasing and selling property for his clients. Whether it is helping a vendor achieve the highest possible sale price or assisting a purchaser to find their next dream property, Chris simply works harder at it than most. If you require an agent with a professional and personal approach who knows what it takes and will make every endeavour to ensure you achieve your real estate dreams contact Chris today. 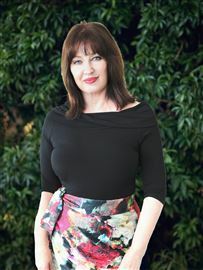 Already a real estate career veteran with over 15 years local experience Dayne has successfully endured all market conditions and been involved in excess of $300 million worth of real estate transactions both individually and as a as personal assistant to the previous Harcourts #1 Agent internationally. As loyal as they come, Dayne has been in the same office as long as he has been operating in the real estate business. Dayne constantly strives for success which has earned him numerous awards over his career to date and as a keen sportsman with a natural competitive streak, Dayne consistently strives for the best for both his clients and his team. Dayne has a wonderful enthusiastic nature and an old head on young energetic shoulders makes him a standout candidate when considering your options as to whom you should entrust with the sale of your home. Dayne guarantees very energetic, highly professional and totally ethical service. Starting as a Sales Cadet at Harcourts Coorparoo fresh out of school, Dimitri immediately fell in love with the industry. After gaining an insight on how their leading agents conducted their business and provided the ultimate client service, he was keen to develop this passion into a career. 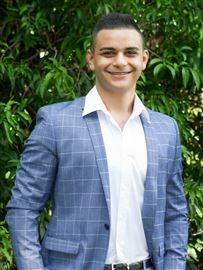 It’s with great pleasure we announce our welcoming of a new sales agent to our Harcourts Coorparoo team - Dimitri Loukaras. Dimitri's intense curiosity about all things property resulted in him pursuing career opportunities spanning from residential and commercial sales to leasing and asset management in Brisbane's inner south. Keeping true to his curious nature and eagerness to learn, he's also undertaken studies in both Psychology and Property Economics degrees. We are excited to see the potential Dimitri can reach with us and we wish him luck on his real estate journey! Dimitri prides himself on his comprehensive knowledge of Woolloongabba and Brisbane's inner south which he has been fortunate to call home for over 15 years. Being enrolled in some of the best schools in the area, an abundance of local sporting clubs and a wide group of social organisations in the region, Dimitri does not only work Woolloongabba, he lives and breathes it. These unique traits ensure Dimitri's clients have the un-parallel advantages of a true Real Estate professional with astute market knowledge. Dimitri is a genuine negotiator and is passionate about providing a service that includes an empathetic approach to assisting you at any stage of your Real Estate journey. Originally from Ireland, Jason has lived in Brisbane now for 6 years and selling real estate for 5 and a half years in the local area. With a long background in the sales industry, Jason says, “Real estate was a no brainer to me. From seeing a young family take their next step, or,a recently retired couple downsizing, there is no better feeling than settlement day with all smiles.” With over 35 million in sales and ever growing, Jason is highly determined to maintain his real estate excellence and helping the local community achieve the maximum return on their biggest asset, your home. 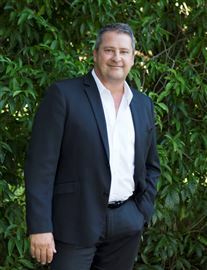 With over eleven years of dedicated hard work and experience, Paul Johns is well recognised for his approach to the real estate industry and has built a reputation within Brisbane’s Inner East as an award winning leading agent with outstanding results to match. With commitment and passion for selling property, Paul aligns himself with the #1 agency in the area, renowned for their unique brand and market leadership. The award-winning Coorparoo office provides maximum exposure for clients listing their homes while offering strategic marketing solutions built around contemporary and custom-designed campaigns. Paul’s superior level of negotiations and professional marketing skills allow him to deliver results with commitment, enthusiasm and honesty while continuing to market a wide range of properties from the modest to the prestige ensuring a premium price satisfaction for both buyers and sellers. With an eye for detail, Paul Johns will help you identify the value to each room of your property, creating long lasting impressions for the buyers. Paul will deliver a variety of selling techniques in order to gauge the correct method of sale for your property which is essential in this ever changing market. His experience and exceptional communication skills will make buying or selling a property with him a positive experience. Growing up with a real estate back ground I decided at a young age it was the career I wanted to pursue, and when the opportunity arose to become a part of the Harcourt’s team I jumped at the chance! With a strong Administration background of 12 years as well as 3 years working in the Interior Design industry I have developed a strong passion for all things Property Related. I am a motivated, results-driven individual with hands-on customer service experience. Resourceful and proactive, I can combine effective communication & negotiation skills with extensive product knowledge to identify opportunities and deliver a successful outcome for all parties involved For the past 4 years I teamed up with Brad Johnston (a highly successful local agent for 17 years) to become part of his Business as a Personal Assistant. We were a highly successful team that were dedicated to changing Real Estate one sale at a time. I recently made the decision to become a dedicated Residential Sales & Marketing Consultant within the Harcourts M1 team. I am committed to bringing the best personal sales experience to the community by focusing on innovative ideas, open communication and elite service. Bringing a unique combination of integrity and professionalism, expertise and approachability. I believe being passionate about your Career helps you achieve the highest results possible and if you want to be the best you’ve got to be prepared to work harder than everybody else. My genuine enthusiasm for life and people allows me to feel at home within the real estate industry. I understand the importance of delivering outstanding customer service and I enjoy assisting clients with their many and varied needs. When the time comes for you to choose your Real Estate Agent, please give me a call. The key to success is choosing someone who will achieve the very best results for you! Samuel has upheld one simple concept throughout his Real Estate career: that communication is key to every facet of a successful property transaction. Placing an integral focus on keeping clients ‘in the loop’ with every step of the sales process has allowed for open, honest, and measurable feedback as well as creating a foundation for trust and a solid mutual respect. Commended for his outstanding acumen in current market trends, Samuel has been complimented for setting, achieving, and exceeding realistic target prices beyond initial expectations. Working his way up through the office, Samuel prides himself on his comprehensive understanding of all facets of the sales transaction through experience, training, and mentorship from the best in the industry, as well as his Bachelor in Property Economics. Additionally, his lifelong upbringing within the area has given Samuel the sense of belonging in the local community, as well as the opportunity to follow the rapidly changing residential market trends. Samuel’s sheer determination to play an integral role in the future of the local property market drives him to work extremely hard and efficiently to meet and exceed every expectation. For an Agent who will go above and beyond to ensure a sense of ease through the entire sales process, please feel free to contact Samuel today. Trent was born and raised on the Southside, living at Mansfield for most of his life whilst completing his schooling at Cavendish Road High School. An avid sportsman, Trent played Rugby League and Cricket where he featured regularly in representative sides. Trent began his Real Estate career with Jim Ryan at First National in 2000, enjoying a highly successful year before embarking on working holiday in Europe for the next 4 years where he gained vast experience in both sales and marketing. Returning in 2005, Trent resumed his Real Estate career with Harcourts Coorparoo and hasn’t looked back making every post a winner. 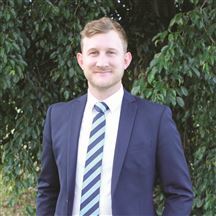 In 2008 Trent became a Selling Principal with the highly successful Coorparoo Team and he is also a devoted family man, recently having his second child in 2014. Trent is a career Real Estate salesperson laying the foundation for many years to come. He enjoys helping people move on the next stage of their lives through a rewarding buying and selling experience. He knows how he likes to be treated and from day one has developed a philosophy of treating people in exactly the manner he expects to be treated himself. He is a credit to the Industry, honest and enthusiastic and most importantly, an extremely successful salesperson. Janelle’s love and interest in property led her to chase a career in Real Estate. Straight out of school in 2001 she started out as a Trainee, Janelle used her time to watch, learn and understand Real Estate. The choice was clear very quickly for her - Property Management was where her passion. She worked hard as a Property Manager and was fast tracked to Senior Property Manager and has held this position for the last 6 years. Janelle has a simple but precise approach to her business and has a clear focus on her client’s needs. Her simple approach and client appreciation assures that no situation is too big or small for her to resolve. Janelle understands the importance of the relationships she holds with clients, attention to detail, and the need for continual review of each property. Janelle’s focus is on maintaining a high level of service and professionalism for her portfolio. Working in the Real Estate Industry for over 10 years now, Carrie has built up customer service skills that are second to none. Carrie brings a fresh approach to Real Estate and this has been recognized by many satisfied clients. You are assured that as a client whether it is a buyer, seller or landlord, Carrie will get you the answers and results you need. Recently joining the Sue Ward Team as a personal assistant to Sue Ward and dedicated Vendor Manager (while also being a busy mum of 2 boys), Carrie is committed to delivering service excellence with a difference. With a background in Business Development & Property Management, Carrie understands the demands that Real Estate can bring, however, mixed with her vast experience in Customer Service nothing is un-achievable and her clients are rest assured their wants and needs are never forgotten. Having been involved in many community events together over the last several years, Sue and Carrie have a mutual interest in wanting to help the community and enjoy helping those in need and raising awareness for a number of charities. You can be confident, whether you are looking to buy or sell, you are in capable hands at all times with the Sue Ward team. Lisa is an experienced real estate customer service professional making her the third member of the Sue Ward Team. Priding herself on her down to earth approach, Lisa ensures her clients best interests are always her best interests. With over 8 years in the Real Estate Industry ranging from Property Management, Personal Assistant and over the last 2 years specialising in sales, Lisa brings honesty, integrity and a personalised approach to the industry, making her the perfect fit for the Sue Ward Team. Ambitious and highly professional, Melissa Connolly has returned to real estate alongside Paul Johns as a member of the Paul Johns Team. Aligning with the #1 agency in the area, the award-winning Coorparoo office provides maximum exposure for clients listing their homes while offering strategic marketing solutions built around contemporary and custom-designed campaigns. 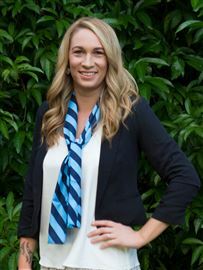 With commitment and passion for selling property, Melissa specializes in all areas of real estate, with a focus on Brisbane’s Inner South East. She combines her wealth of knowledge and experience with her friendly and welcoming nature to provide high quality service to all her clients. Melissa has a particular strength in client services throughout the sales process which leaves a lasting impression on all her clients. She also recognizes the importance of integrity, honesty and quality throughout her commitment with both the Seller and buyer. Her exceptional marketing knowledge allows her to support her clients expectations in every way. From providing a professional approach and astute attention to detail, her superior negotiation skills ensure a premium price satisfaction for both parties. Her experience and exceptional communication skills will ensure buying or selling a property with her is a positive experience. When only a view will do! Quiet Location And City Views!